Adaptable - Interoperable with a growing range of technologies (iCLASS® Seos™ and iCLASS SE® credential platforms, standard iCLASS®, MIFARE®, and MIFARE DESFire® EV1 with custom data models) and form factors including mobile devices utilizing Seos™. 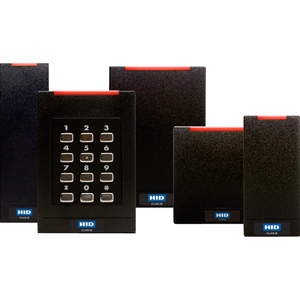 HID Global's iCLASS SE® platform goes beyond the traditional smart card model to offer a secure, standards-based and fexible platform that has become the new benchmark for highly adaptable, interoperable and secure access control solutions. Ideal for new and existing installations, iCLASS SE readers provide customers the assurance that their existing investments can be leveraged to enhance their system as business requirements change. The technology-independent readers also support iCLASS Seos and iCLASS SE credential platforms, as well as standard iCLASS, MIFARE and MIFARE DESFire EV1 supporting custom data models.